Meet Sophie and Amelia : Two more of our Bark Squad Members! Get To Know Members of Our Bark Squad! 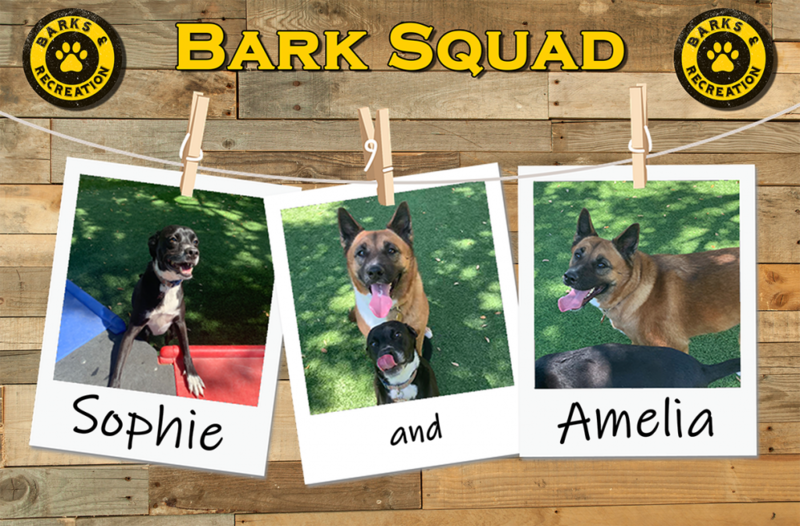 Sophie and Amelia are officially members of our Bark Squad! These lovable fur-balls come from the same home so we refer to them as Sisters! Sophie is a very friendly and sweet Hound-mix that is the eldest sister of the two. When she first came to us she was quite a bit shy but she has come out of her shell since then and loves to run laps with the rest of the pack! Her younger sister, Amelia, is a big, goofy Husky-Mix! Amelia really loves chasing the rest of our daycare pups and trying to get them to chase her back – like a big game of “tag”! Their personalities are the perfect combination and balance for the rest of the dogs to have so much fun! The staff and our daycare pups really enjoy having them here at Barks and Rec. We are very happy to have them. 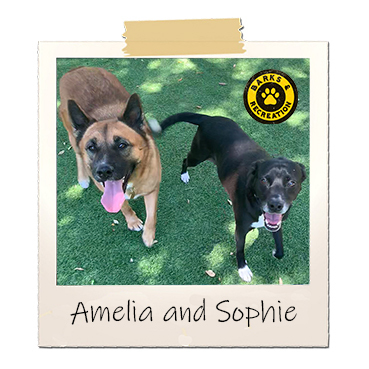 Thank you, Sophie and Amelia’s parents, for bringing your dogs to our daycare and allowing them to be a part of our Bark Squad! Q: Tell us Sophie and Amelia’s story! Where were they born and what made you fall in love with them? Sophie was a rescue from the SPCA. I adopted her when she was a puppy! She was just so lovable! Amelia was a rescue from the Pinellas County Animal Shelter. I really wanted another dog so Sophie had someone to play with during the day. Amelia was the perfect fit! Q: How did you come up with their names? Sophie is named after the famous character on “The Golden Girls”, Sophia! Amelia is named after Amelia Earheart – a strong, powerful, independent woman! Q: What breeds are Sophie and Amelia? What is your favorite thing about their breed? Sophie is a Hound Mix. She was rescued from the SPCA so I don’t have much knowledge on her breed. I know she is just SO sweet! Amelia is a Husky Mix. I know husky’s are active, working dogs so Amelia goes running with me and has helped me train for a marathon! Thank you so much for bringing these two to Barks and Recreation and sharing their stories with us!! Sophie and Amelia are wonderful pups and we’re glad to have them! Q: Is there a silly or funny story about Sophie and Amelia that you would like to share? Sophie loves Starbucks! She even knows when we’re going there and cries for a “Puppachino”! They might be her favorite treat! When Amelia has a Kong full of peanut butter, she loves to hit her sister with it and get her all sticky! She won’t ever share it with Sophie, though. Q: What are their favorite things to do? They both love to play! Sophie likes to sleep more often and Amelia likes digging and chewing on her Kong toy. Jon Anderson is the Director of Marketing for Barks & Recreation. He is a dog lover first and foremost but his love of dogs brought him out of the corporate world and into the Barks & Recreation family. 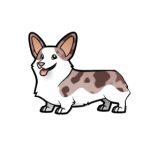 Jon has a Pembroke Welsh Corgi named Chewy that does everything with him and his family. His writing style is straight from the heart with a lot of research mixed with a little humor. We hope you find his articles both informative and entertaining.